A 90mm Downpipe Water Diverter Kit will protect your rainwater supply by diverting any initial contaminants from your roof and ensuring a cleaner water supply flows into your tank. 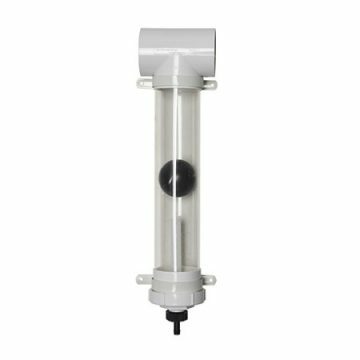 A 90mm Downpipe Water Diverter Kit will protect your rainwater supply by diverting any initial contaminants from your roof and ensuring a cleaner water supply flows into your tank. They are installed using a T junction inlet, which is fitted to the diversion chamber. 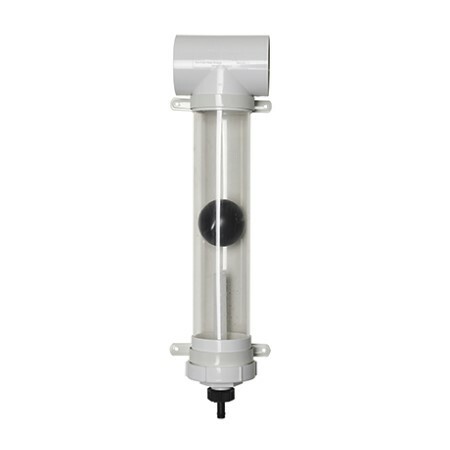 The intial supply of rainwater enters the chamber, filling it and floating the ball to the top to seal the inlet. This means the rest of your rainwater, which is much cleaner, flows directly to your tank. Be the first to review “90mm Downpipe Water Diverter Kit” Click here to cancel reply.